I genuinely love doing crafts with my daughter. What I do not love is when I go to open my craft closet and all my crap falls out. Now, this is usually because I was trying to be a good mom and make my daughter clean up after herself the last time we did crafts. My bad. I should know better that she would have just shoved everything in there just waiting to fall out again. 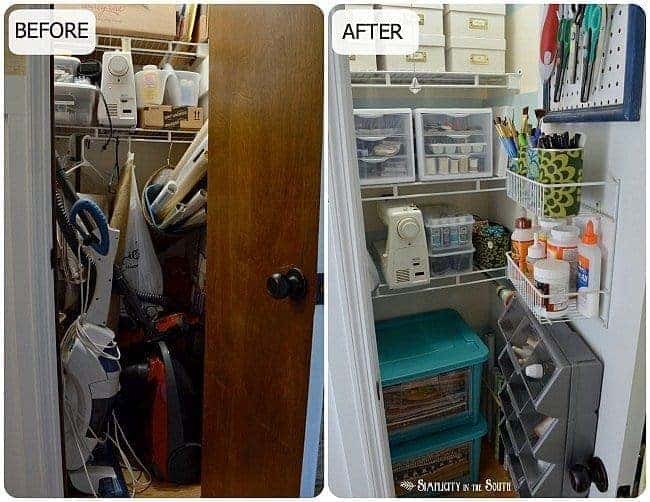 After several times (OK years) of this going on, I finally came to a conclusion that there had to be a better way to organize my craft closet. 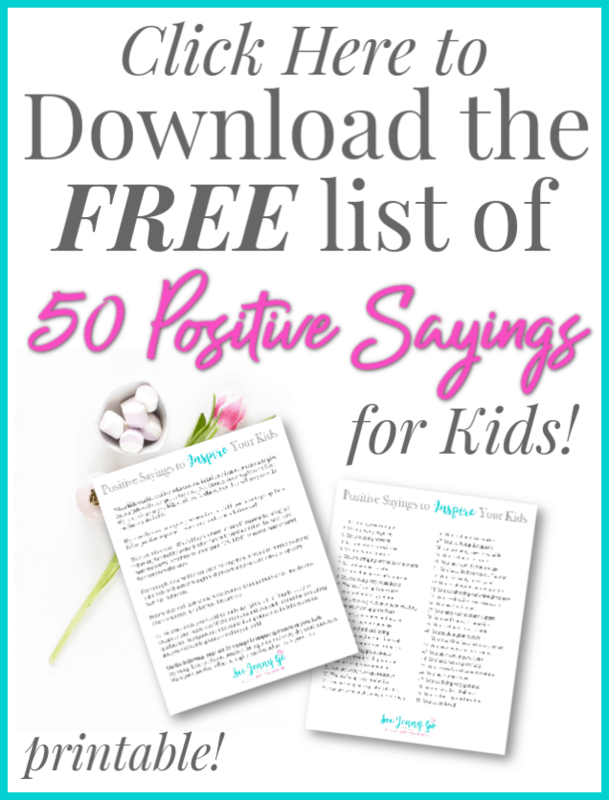 Something that would make things easy to find and easy to reach for myself or an 8-year old. Something that would make sense as far as what goes where. And maybe, just maybe, it would free up some space in the guest room closet (I needed to get that damn wrapping paper out of there). What I quickly realized is that there is more to organizing a craft closet then just rearranging things neatly. Once I started looking at containers, and labels, and a (gasp) wrapping paper organizer… I was sold. 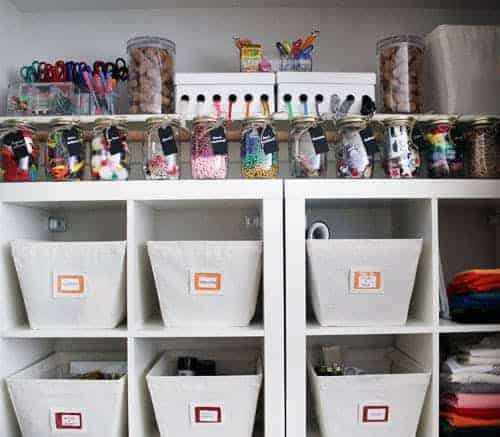 So I took my favorite tutorials on how to organize a craft closet and listed it below. 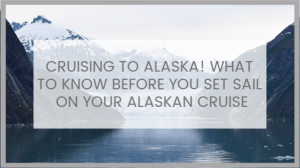 I hope these will help you too! This craft closet make-over is really all about the door. But I loved that because this is often space so overlooked. 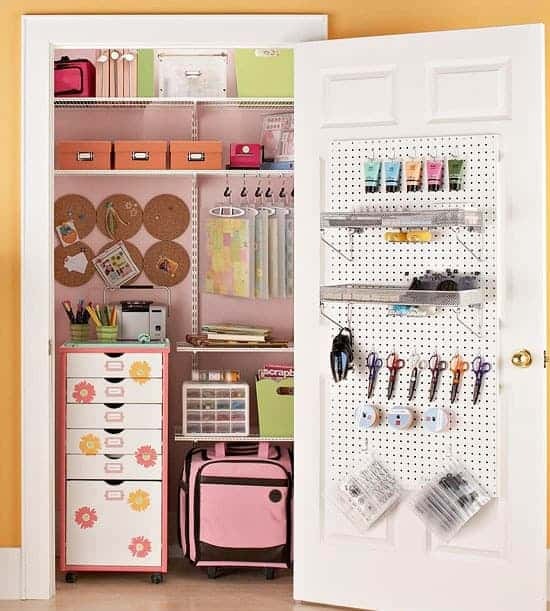 Look at all the things you can arrange just on the door! So even if you have a small closet (as I do), it’s a great way to maximize the small space you have. Here is another example of an amazingly small closet, but with all the right amount of bins and holders. Again, look at how the door is organized. The door to your closet is the key to adding a ton more storage space if you don’t have a big closet to start with. There are literally dozens of things you can do with just the door. But the rest of the closet is pretty impressive too. Check out the blue bins. I need those! 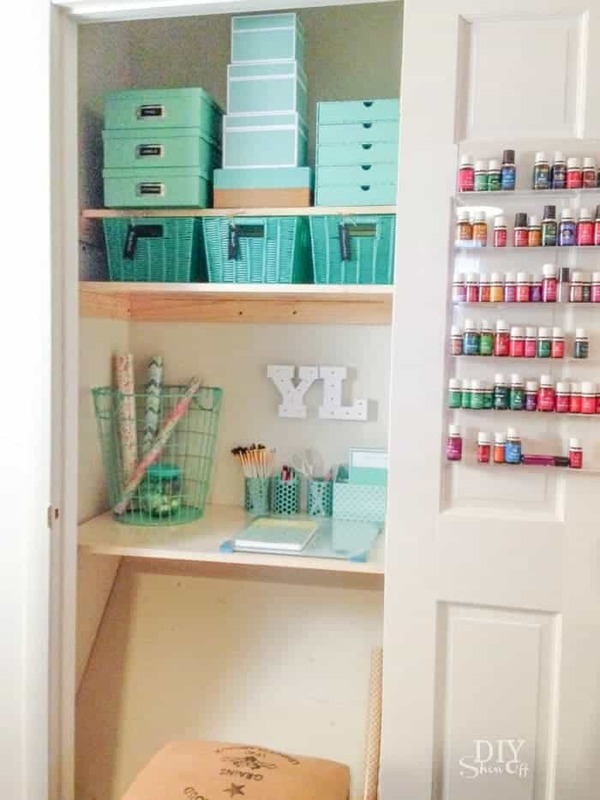 Now maybe you have a bigger closet or you’re using a bedroom closet for your craft closet. Then this tutorial is perfect for you. This is a crafter’s dream. Or just the dream of any mom who doesn’t want stuff falling on their head every time they open a closet door… sigh. Don’t forget to notice all the stuff stored on the doors here too. Am I getting my point across?!? 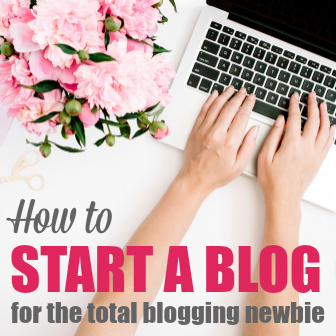 I can’t do a post on organizing and not mention Abby (not my Abby, blogger world famous Abby). 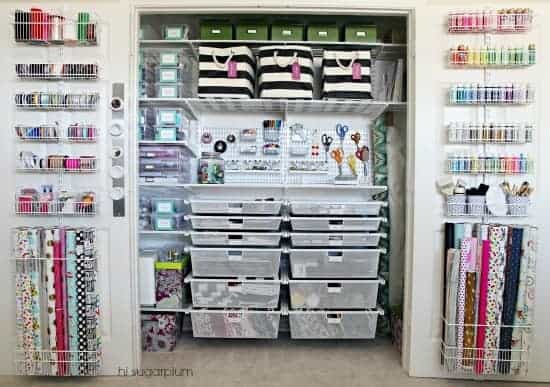 This post she did on her craft closet is a dream. She really knows how to handle a label maker! If you have a lot of stuff, and I mean a lot, then this closet organization tutorial is for you. They managed to create space for every single little bead and piece of… whatever! If I could organize things like this, I might be less likely to throw everything away that gets into the carpet. 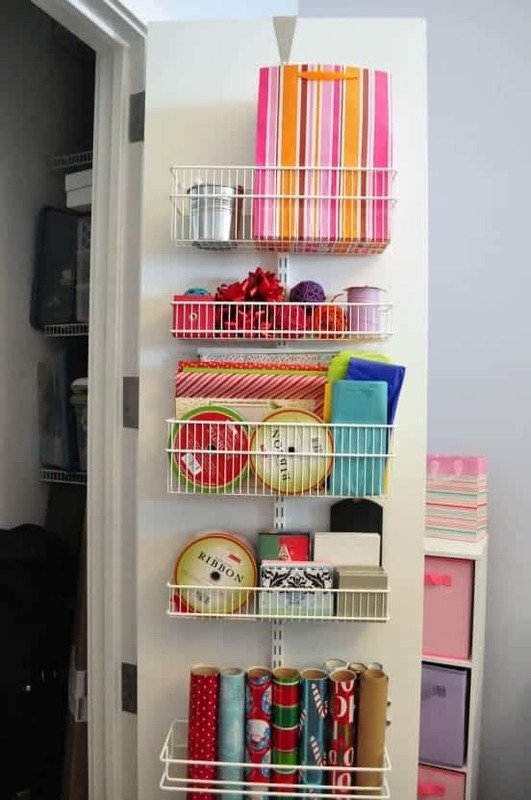 One of my absolute favorites for craft closet organization is this post, also featuring a bigger closet. But I do feel like you can use a lot of these tools in smaller closets as well. The totes give it a cute stylish touch, but the peg board is my favorite here. You can move things around as your crafts change and it really makes it easy to find the small stuff. 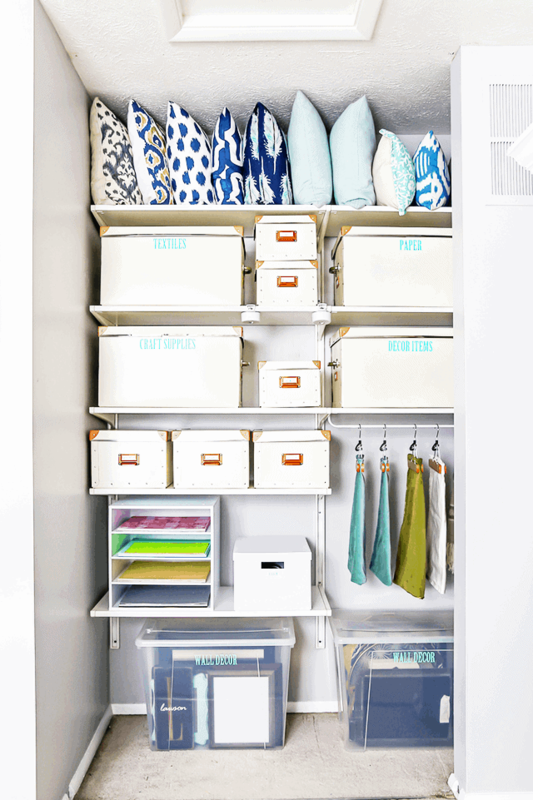 Now, this craft closet make-over is nothing huge. But like some of the other small closets, it takes a small space and makes everything very neat and clean. To be honest, one of the reasons I picked it is because I LOVE the accessories she used (that happens to be one of my favorite colors). It just shows that even though it’s in a closet, you can still make it look super cool. 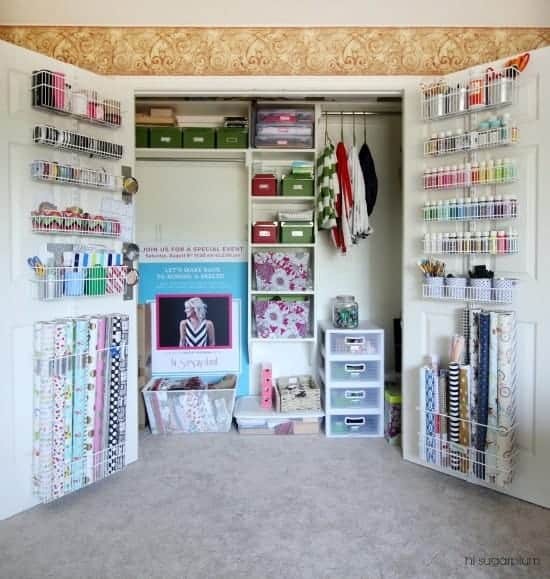 And last but not least, no one does a craft closet quite like Better Homes and Garden. They used the same peg board but used it on the entire interior of the inside door. So if you don’t have wrapping paper, this is another great use of that area. 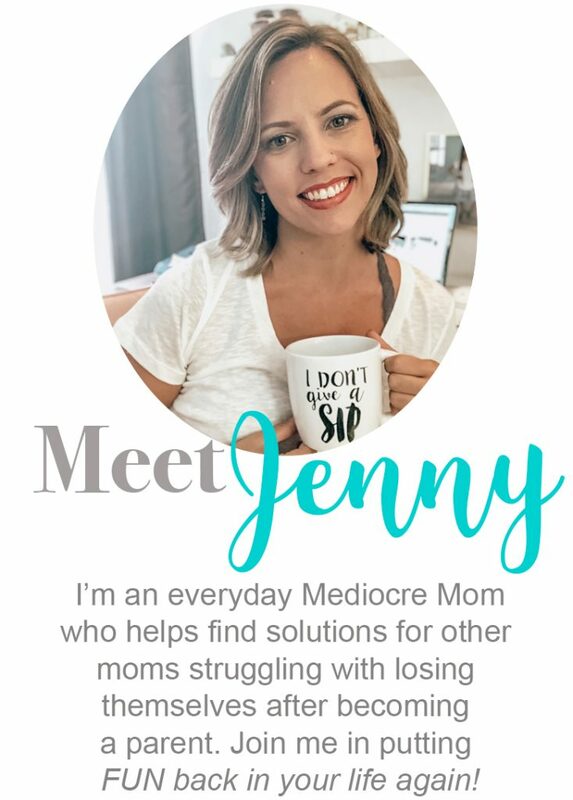 My name is Jenny and I'm a Mom to a little girl named Abby. 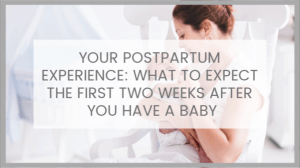 I love finding new ways to connect with other moms. 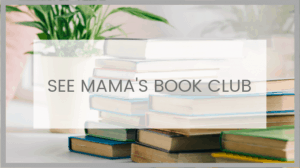 I share my parenting wins and fails. 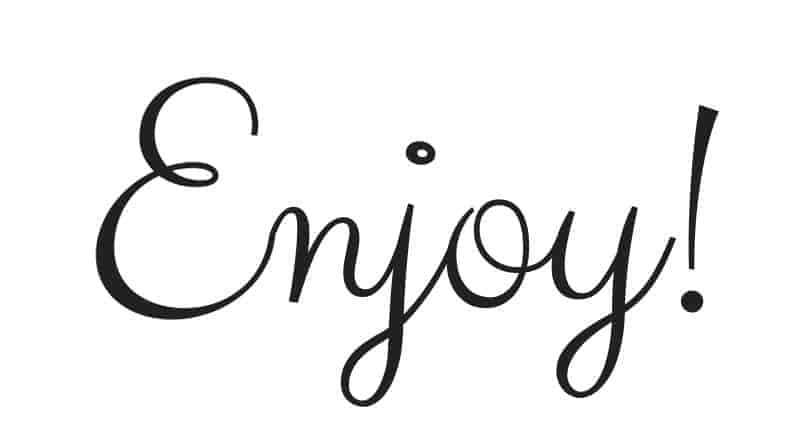 And try to bring back the fun we used to have before we became parents!